Faces Mascara & Eye Brow Brush can be shipped to Australia [ AU ] & Worldwide . Faces Mascara & Eye Brow Brush - Express Shipping Transit Time of is 5 to 9 working days from the shipping date. 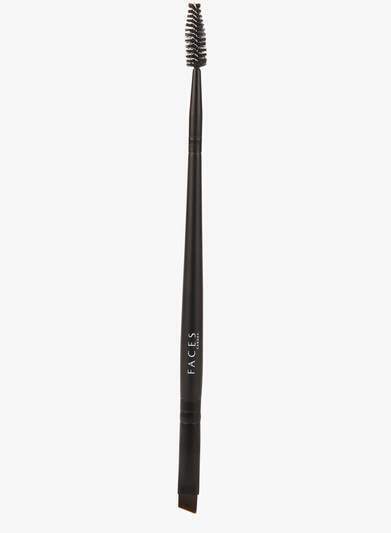 Faces Mascara & Eye Brow Brush Product Usually ships within 2 to 4 working days from India. FACES Cosmetics, with a proud Canadian heritage spanning over 38 years, offers an exclusive line of makeup, skincare products and personal care accessories. FACES offer unparalleled variety in its products, which are designed to suit every ethnicity, skin type and tone, complexion and texture. Not tested on animals, FACES products are hypoallergenic and conform to the most stringent quality and safety requirements. FACES products are globally acclaimed and are available at attractive price points in all its markets from North America to India. The wide assortment of shades, textures and designs helps the FACES consumers capture every look and style, right from casual to professional to glamorous. Indian Products Online Shopping store – Australia ( AU ) & World Wide Free / Express Shipping. Free Express shipping for orders value of AUD 100 & above . Faces Mascara & Eye Brow Brush can be shipped to Australia & Worldwide . IndianProducts.com.au Ships Faces Mascara & Eye Brow Brush Usually within 2 to 4 working days. IndianProducts.com.au is an Online retailer, a E-Shopping store. We are your personal buying / servicing agent in India for best branded beauty and health products range online for WorldWide customers and one of the fastest growing online stores / Marketplace. Store prices ( currency ) are in Australian Dollar ( AUD ) . In our e-commerce online stores we have listed the best selling products of top Indian brands at comparatively Low prices including Faces Cosmetics branded Faces Mascara & Eye Brow Brush . Browse our online stores in this shopping cart to get the products / items at Competitive pricing. Shop Faces Mascara & Eye Brow Brush for yourself, or order as a gift to your loved ones. Shipped to any place in Australia ( AU)& Worldwide. Free and Express International shipping available. IndianProducts.com.au is a pioneered online shopping store for Worldwide Customers and today it is the one of the fastest growing shopping destinations for customers on the Internet with thousands of quality branded Indian ayurvedic & Herbal products list including Faces Cosmetics branded Faces Mascara & Eye Brow Brush . As ecommerce evolves, sellers and buyers in are increasingly sophisticated and adventurous, demanding more choice. IndianProducts.com.au offers Consumers the widest range of products and branded stores, along with the product information and necessary date to navigate & order / buy Faces Mascara & Eye Brow Brush efficiently online. We are committed to delivering the world's ultimate shopping experience with high quality of service to the People of World Wide. We ships to Victoria , New South Wales , South Australia ( AU ) , Western Australia , Tasmania , Queensland , Northern Territory and Australian Capital Territory Transit Time of Faces Mascara & Eye Brow Brush Pack Product from India to Australia ( AU ) & Worldwide is 5 to 9 working days. Where to buy NoMarks branded Indian beauty and health Herbal / Ayurvedic products ? Find it on IndianProducts.com.au – Get best deals online @ Great Prices ! Buy Online ! Shop Now ! Our Payment Gateway is powerd by www.Paypal.com . For orders of AUD 100 and above, Express Shipping is Free Worldwide. No Express Shipping, Handling and Processing charges will be applied. IndianProducts.com.au Online Stores shopping carts / e-shop is one of the best customer friendly. Your online purchase / transaction is 100% Secure. The payment gateway for our stores online is provided by Paypal [ www.Paypal.com - One of the Best & Trusted payment gateway system by world wide online buyers ]. You can assure the best online deals. Customers can find and discover anything they want to buy online with industry leading / friendly online shopping technology and secure credit-card payment system with more than 5000 products choice . Shop safely in our online store while your financial information is kept private and protected by PayPal.com. It's free to open a PayPal account - there are no monthly charges or cancellation fees. After receipt of your product Faces Mascara & Eye Brow Brush order with completed payment. We will send an order acknowledgement email. Our Executives will purchase the Faces Mascara & Eye Brow Brush from the Product Distributor / Authorised Stores / Retail Mall. After shipping your ordered product Faces Mascara & Eye Brow Brush we will send you an Products Shipped Email. One of the fast growing & trust online store for Indian Branded Beauty , Health, Herbal, Ayurvedic, Natural, Agri, Homeo, Lifestyle and Groceries Products. We Ship Orders Internationally & Delivery Worldwide with in 5 to 9 working days. Free Express shipping for order value above 10.00 AUD. Our online store listed More than 2500 Brands and 50000 plus products. New Brands and Products are added reqularly.